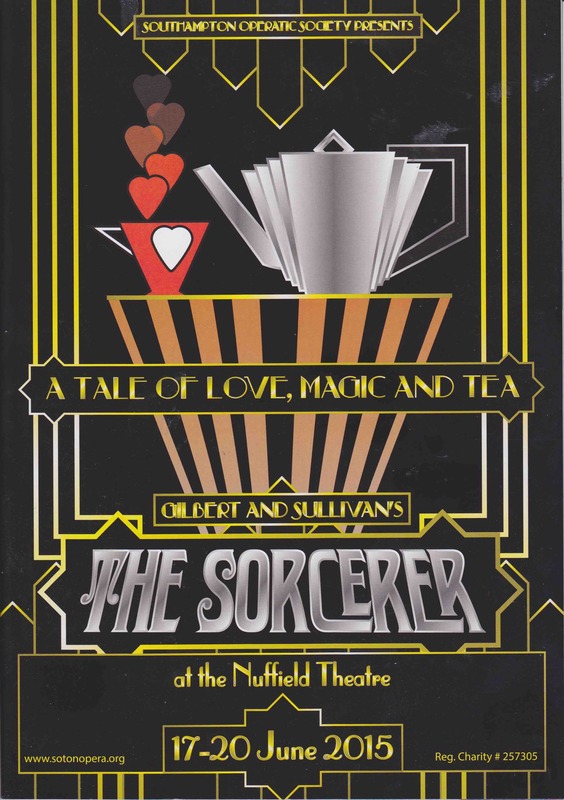 The Committee was worried about The Sorcerer, not only was it a notoriously poor seller but the Nuffield had just introduced an extra Box Office charge ensuring that they would take 8% + VAT of any income in addition to their usual hire fees. It therefore seemed prudent to cut losses and a Get In was arranged for the Monday instead of Sunday saving on some costs. Unfortunately, this meant that it would only be possible to give four performances of the show. The next problem was finding a Directing Team and those who usually held such positions were less than enthusiastic. Paul Spanton was eager to help but his Monday commitments with the Philharmonic prevented him from being totally involved as the MD, however Martin Paterson came to the rescue offering to cover rehearsals when he was available and organising the band during show week. The position of Director was also proving difficult to fill until Pete Hill recommended Jo Short whose plans to direct Ruddigore for RAODs had been recently thwarted due to a shortage of men – happily she accepted the challenge. As all three had a calm but demanding approach, rehearsals were extremely enjoyable and absenteeism was never an issue (just punctuality). The actual production was notable for a very minimalist set giving the illusion of the interior and then exterior of Sir Marmaduke’s mansion and the introduction of a reader (Sarah Fulcher) who was enjoying the story in a book as the action took place around her. Despite savings made on hire of the theatre, the set and a five-piece band (the score was re-orchestrated accordingly by Paul Spanton), The Sorcerer only attracted 640 customers over the week and lost £1524.